"Legitimate to question how demand will be managed"
With its CEO previously quoted as being less than convinced by net neutrality, Virgin Media has responded to the current debate over whether or not ISPs should be allowed to discriminate against high-bandwidth providers like BitTorrent, Skype and the BBC iPlayer. 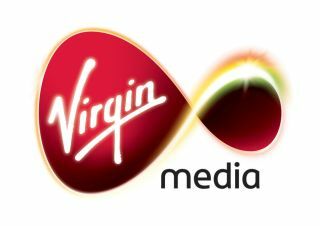 Although Virgin CEO Neil Berkett has insisted that his comment was taken out of context, Virgin Media is keen to state its case, even though regulatory body Ofcom is staying well away from an argument that is likely to remain a hot potato on the internet for years to come. "With Virgin Media rolling out a 50MB service later this year, we are uniquely equipped to cope with the demand for new bandwidth-hungry services," a spokesperson told TechRadar. "We strongly support the principle that the internet should remain a space that is open to all and we have not called for content providers to pay for distribution. "However, we recognise that as more customers turn to the web for content, different providers will have different needs and priorities and in the long term, it's legitimate to question how this demand will be managed. "We welcome an informed debate on this issue." That informed debate is more likely to turn into a vitriolic war, with the whole concept of net neutrality increasingly coming to the fore.